There is a CMS section on a Themler template called "Default". 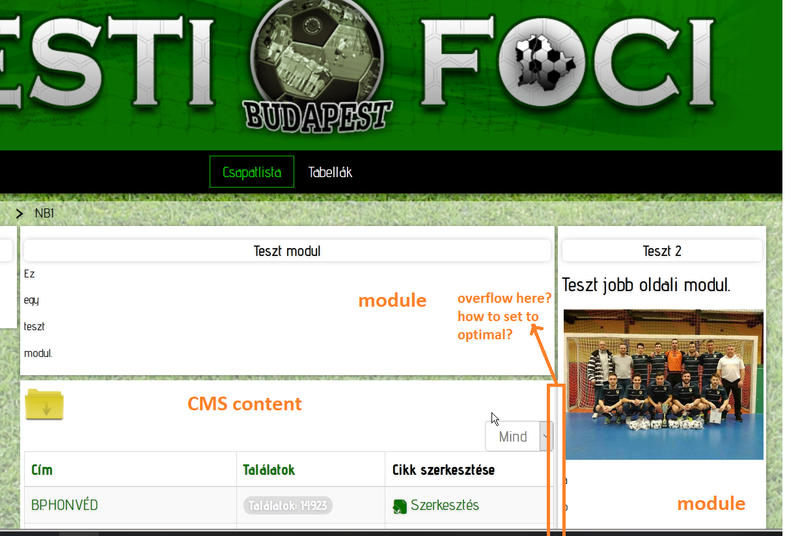 This is different from other CMS section on other pages. In the sofware it titled "Blog Roll". Joomla uses this when you set menu to category list. It seems to be run out of container with a few pixels. I have no extra margins here. Why can't I set this? We would need to get access to your theme / site to check the settings. Please, create private ticket with temporary access. Thank you for your help! It works now, but I will give you a private ticket with my template soon.